Create Your Event. Your Way. pie is a cycling events company delivering amazing bespoke bike rides throughout the UK and Europe. We create, develop, manage, operate and deliver fully supported guided group cycling trips for companies, charities and groups of individuals. All to your specific brief. 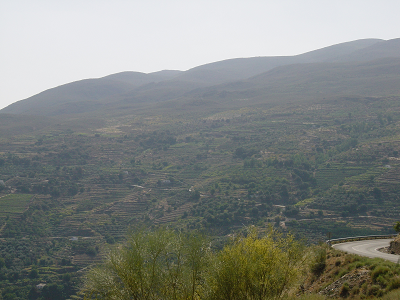 A circuit of the Sierra Nevada National Park in southern Spain, taking in the climbs of La Vuelta a España, the beautiful villages of the Alpujarra and finishing by dipping your wheels into the Mediterranean Sea. 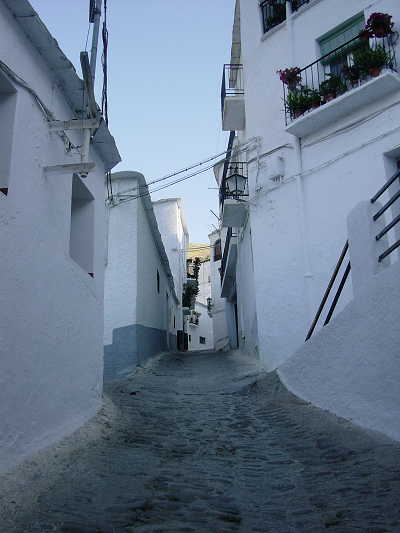 After your arrival into Granada or Malaga airport, we will transfer you to the town of Alcalá la Real, where you will be met by the rest of the pie crew. Our guides will help you to build your bikes before the evening meal and welcome briefing. Half day ride is also available depending on flight times. We rise early to start the ride from Alcalá la Real, to the day’s final destination of Guadix, famous for its cave dwelling inhabitants. Overnight accommodation is provided in “apartment-caves”, built to escape the heat of the Andalucian sun. Dinner is provided in a local restaurant. After a sleep that any cave man would be proud of, day 2 is shorter in terms of distance, but more than makes up for it with over 2600m climbing. The route takes us over the Vuelta climb of Puerto de la Ragua, at an altitude of 2000m, before heading down the other side and then west, along the southern border of the Sierra Nevada national park. Towards the end of the day, we turn northwards up into the hills again, ready for our overnight stop at the village of Trevélez – one of the highest recognised municipalities in Spain at approximately 1,480m above sea level. Today we ride through the beautiful villages of the Alpujarra region, gradually descending down towards the sea, for that final dip in the Med! We celebrate our achievements that night at a wonderful hotel, overlooking the sea. You are free to spend the day at your leisure, before the transfer back to Malaga/Granada airport. Interested? Please contact us for more details. Call 01932 460090 or email info@pieevents.co.uk and download the event summary sheet. pie delivers fully supported bespoke guided rides throughout the UK and Europe for the discerning cyclist. Every ride is designed completely to your needs so your cyclists, no matter what standard they are, will have a fabulous time. We’re known for our efficiency, integrity, and our passion to get it right. From your 1st contact with us, to the last cyclist’s arrival, we will make your event as effortless and awesome as possible. Your cyclists will be led in small groups of similar standards by our team of amazing guides on bikes who are in turn supported by our experienced crew of tour leaders and medics. The end result is stunning scenery, challenging ascents, incredible descents, perfect hotels, great food, like minded company. In short, an amazing ride.